Finding a catchy name that people will remember is important when choosing a name for your daycare. This guide contains name ideas for a childcare business. I am opening a daycare and would like to use my last name in the title which is "Small". Any ideas? I need a name for my daycare with my last name Darling. 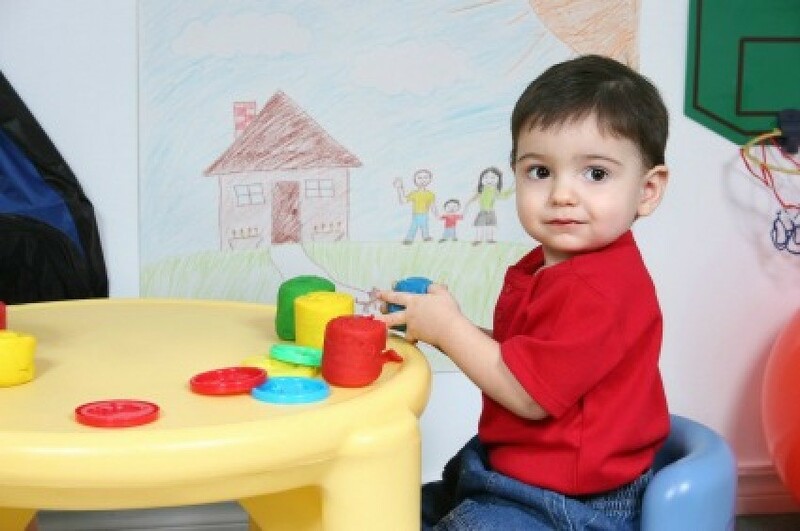 I just recently opened a daycare in my home and would like help finding a cute, fun, catchy name. I live in a small farmland town, any help? I am starting a daycare and would like suggestions for names. My name is Jenny. I'm looking for an appealing name for my daycare, using the initials A.B.C. Or I also have 3 sons myself and could use a name pertaining to my 3 boys. Please help. or "Brady's A B C's". We need more good daycare centers, so I'm wishing you the best of luck with yours. I am opening a childcare center for infants, toddlers, and preschoolers. Please suggest a good name along with a slogan or tagline and logo. I am starting a daycare and I need a name using my name Danielle. Thanks for your suggestions. I'm starting my daycare business and need a name using Dareese. Please help. I'm a mother of 5 who loves children and looks to open a daycare center. I need to find a catchy name. I could really use your help with something eye catching and inviting. I currently have a daycare with a friend Daisy's Children's Academy - which was inspired by her grandma's name Daisy. I am opening my own in home family daycare, my mom and teenage daughters will be working with me. I need a name that is catchy, family based, loving, and if possible something that implies a learning fun environment. We are young and hip, and love to explore the world through all kinds of experiences. I would love to use my name, first Nika or last Cole, but not necessary. I'm starting a childcare business and need help with the name. I would like for it to have the word "young" in it somewhere. Please help. Thanks. I need a name for my day care business. I will be partnering in the day care with my brother and his wife, Mauricio and Yasmine and my husband Harry and myself, Tatiana. It is a group family day care and we need help with what we should name our day care. Please help! Thank you. I appreciate it! Hi. Here are my suggestions.